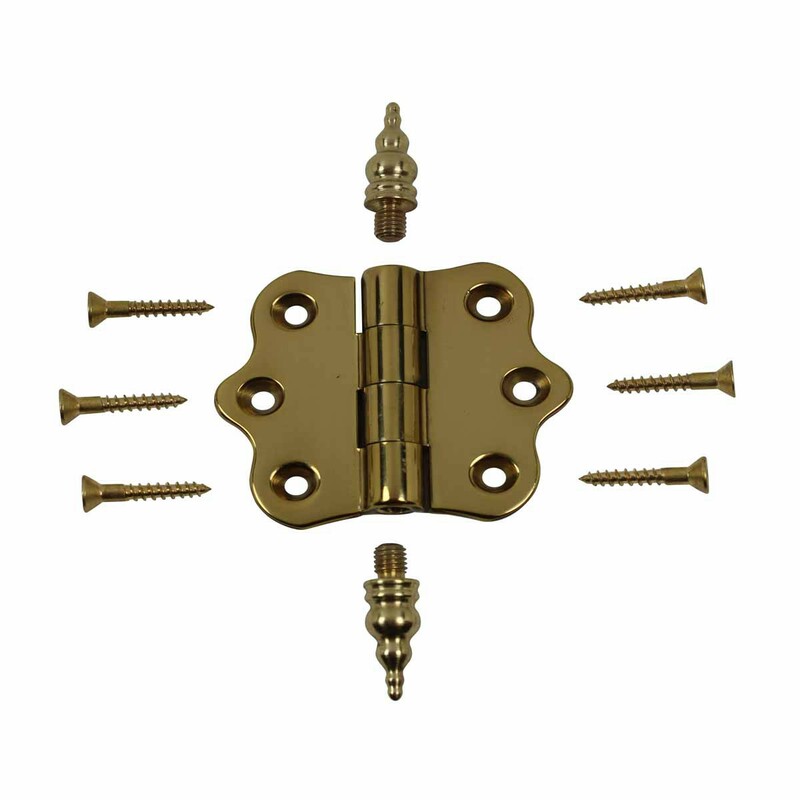 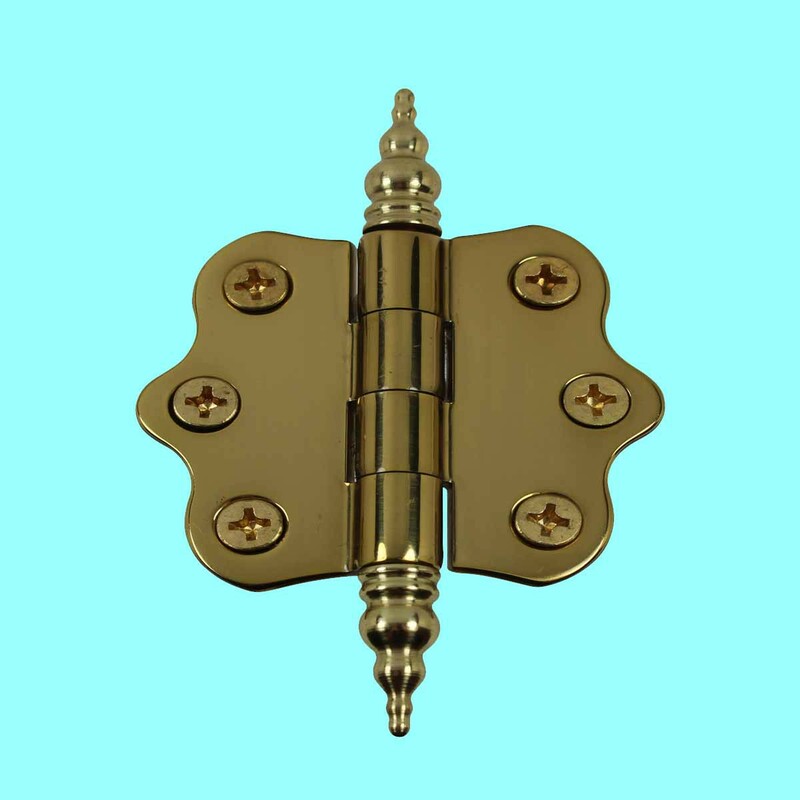 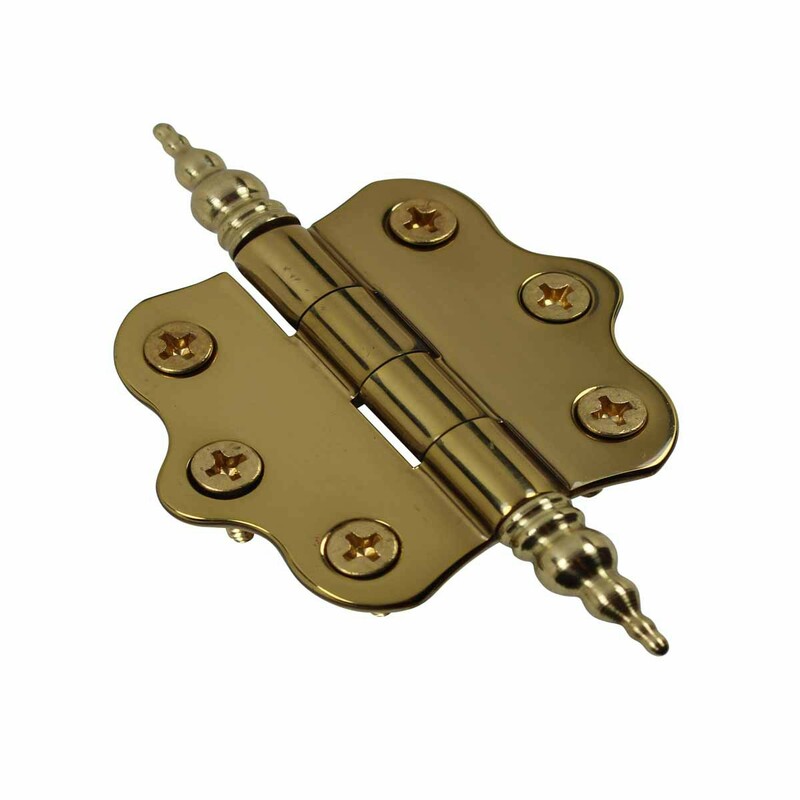 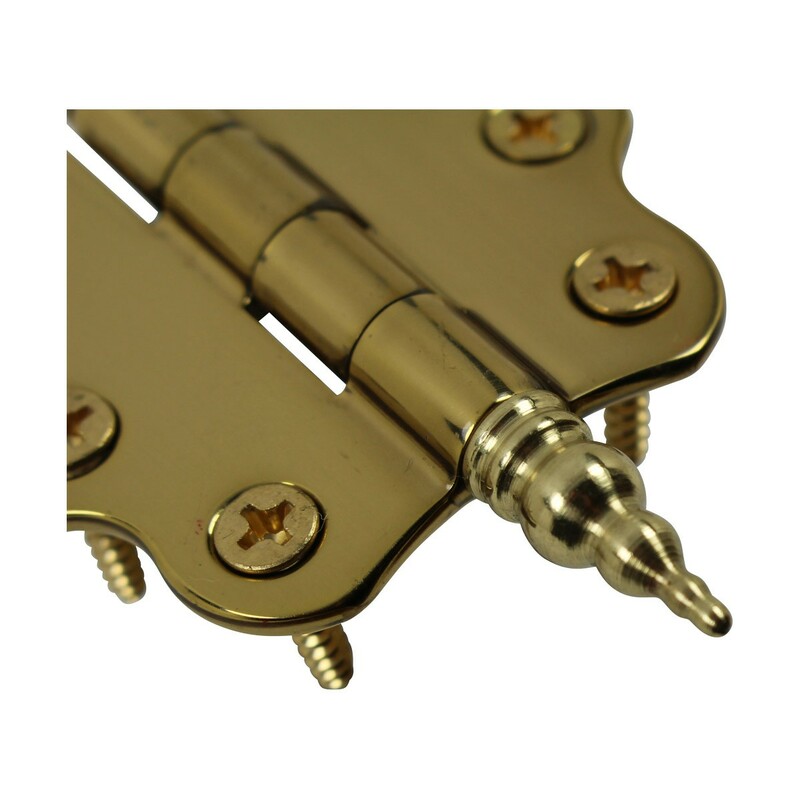 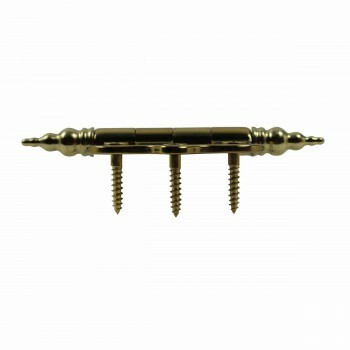 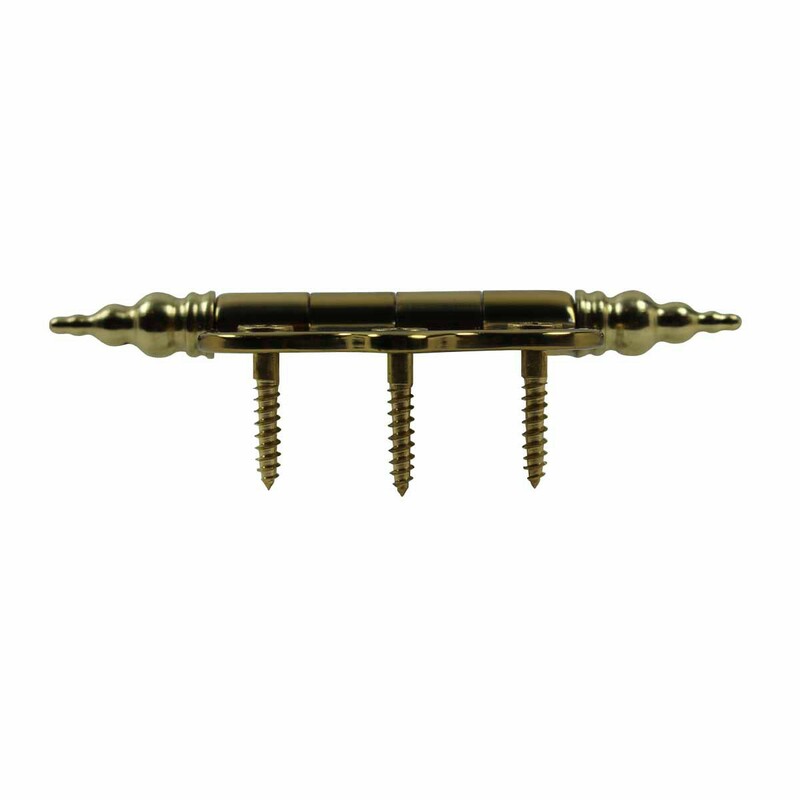 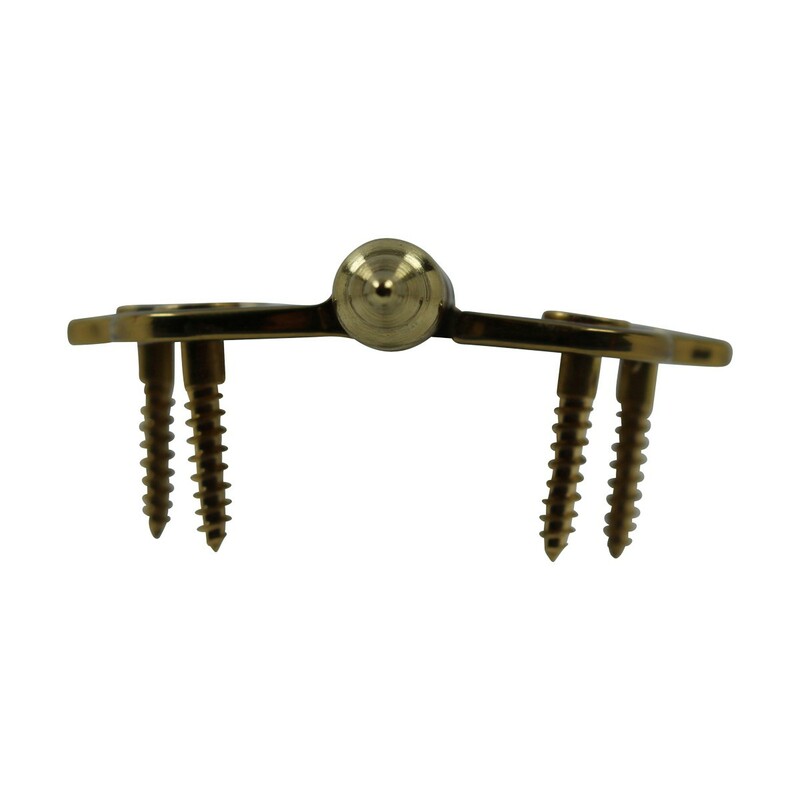 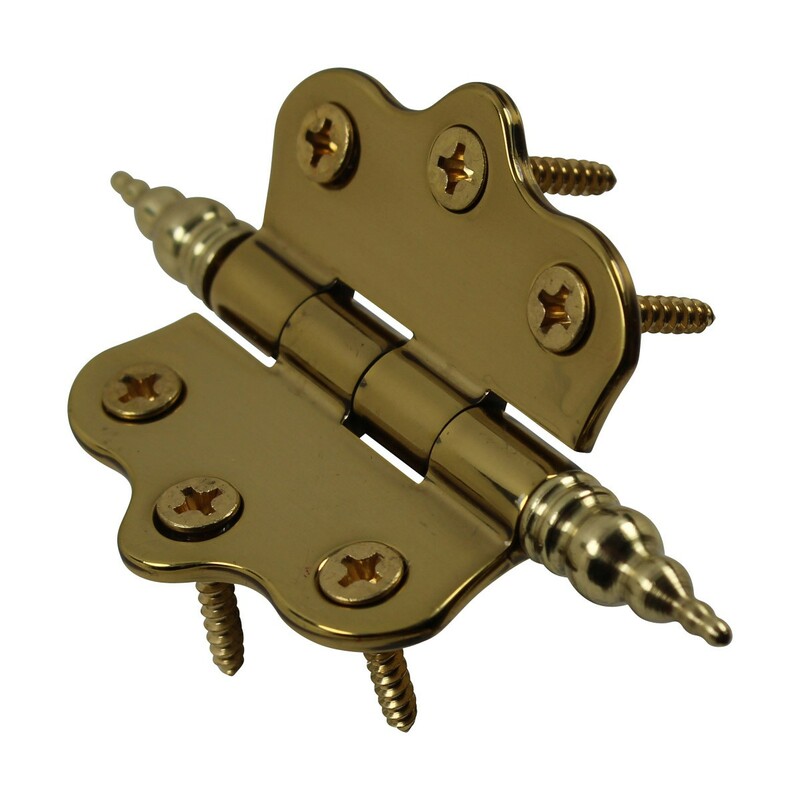 Cabinet Hinges: This Bright Solid Brass Cabinet Hinge measures 1 7/16 in. H X 2 in. W is solid brass extruded & precision CNC machined. 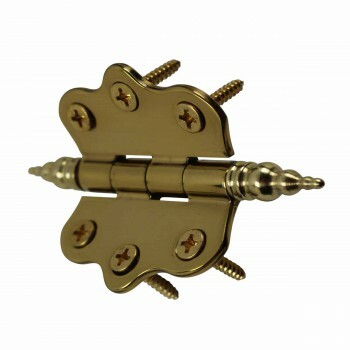 It features 4 barrels, a non-binding stainless steel removable pin & interchangeable finials hinge built to ANSI standards. 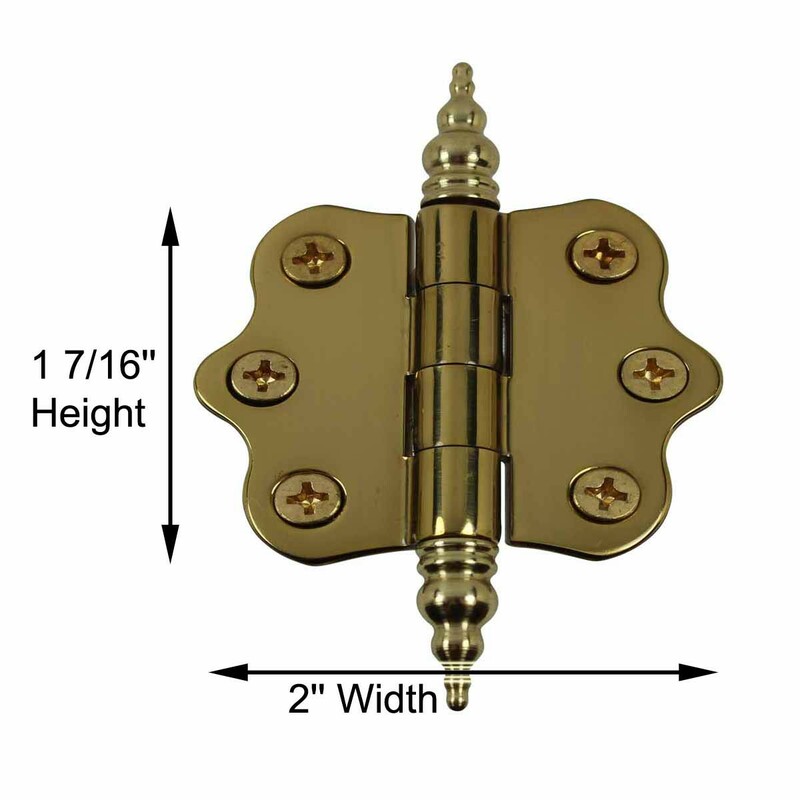 Comes with Steeple finial pair. 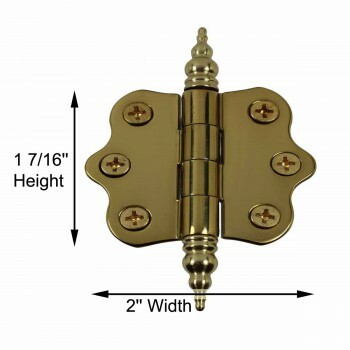 1 7/16 in. 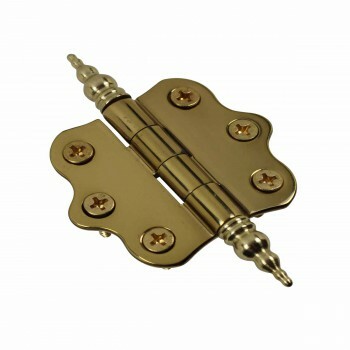 H X 2 in. W.